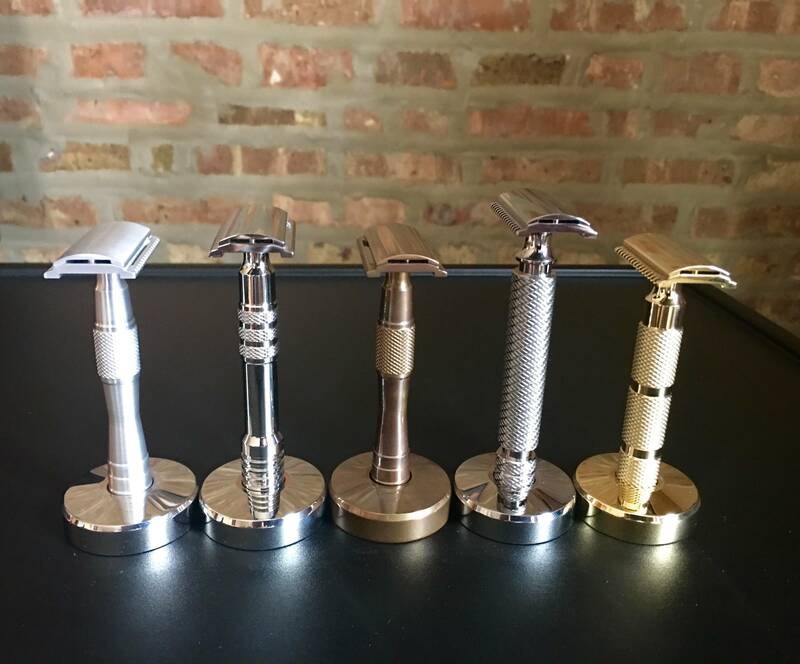 As many people know, Wolfman razors are fantastic. I actually received my first Wolfman in a trade (dual comb, aluminum) and it completely surpassed my expectations. 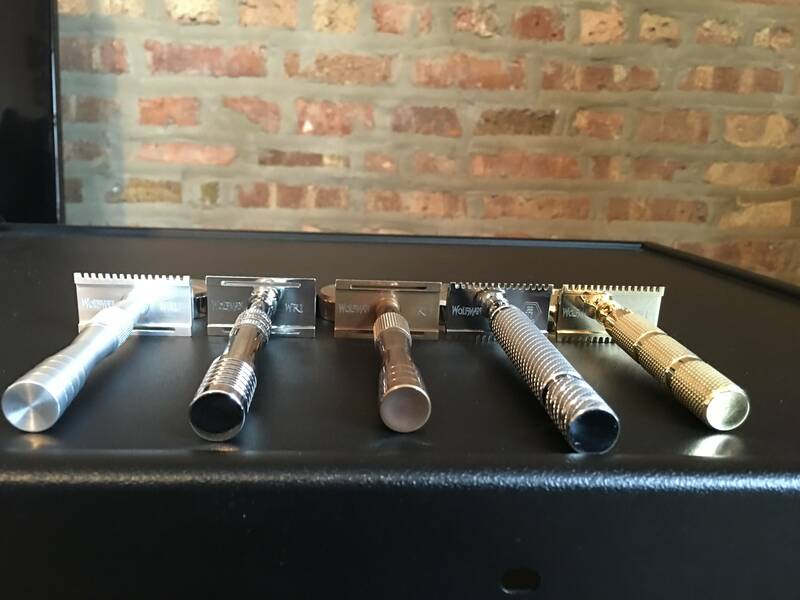 Top notch in both aesthetics and function, the Wolfman quickly became my favorite razor. I have since been fortunate enough to acquire a few Wolfies, my Wolf Pack if you will. The Pack consists of an Aluminum DC, Stainless SB, Bronze SB, Titanium OC, and Brass OC. Below are a few pics of the bunch. As always, thanks for looking and hope you enjoy your shaves! I can hear the howling of the pack....wondering where their buddies were....and now they know.....awooooolh....we are coming!!!!! I'm envious....I currently own two which means I have a long way to go before I can consider it a "pack"
Amazing collection. You're one lucky man!!! Awesome collection!! I love the variety you have. How long did it take you to assemble? Congratulations on your stable of thoroughbreds! Thanks all for the comments, I really appreciate it! 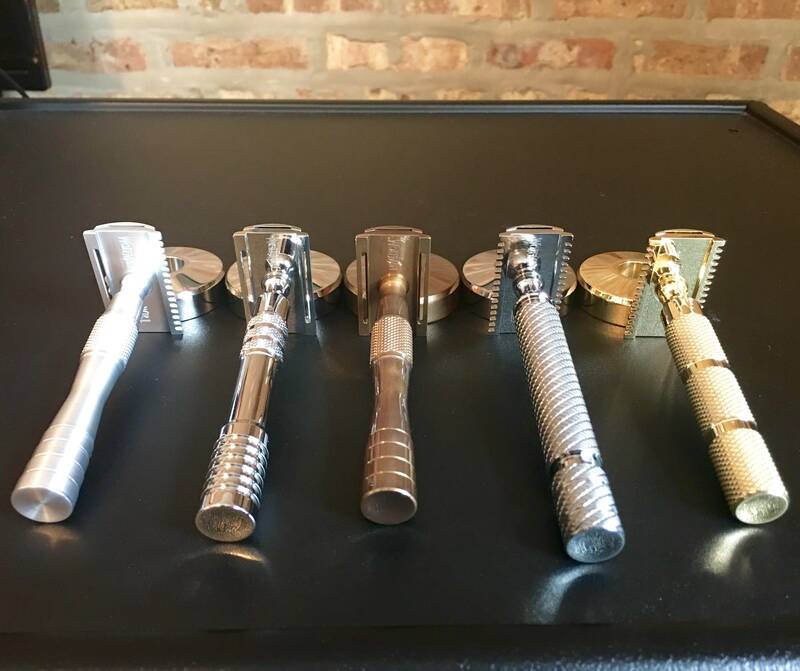 James creates some beautiful shaving tools, that's for sure. He's super friendly and talented. It's amazing that you can collect a lot of them considering it is hard to get one of those puppies.